Adults can outsource rides to Uber, Lyft and Sidecar. 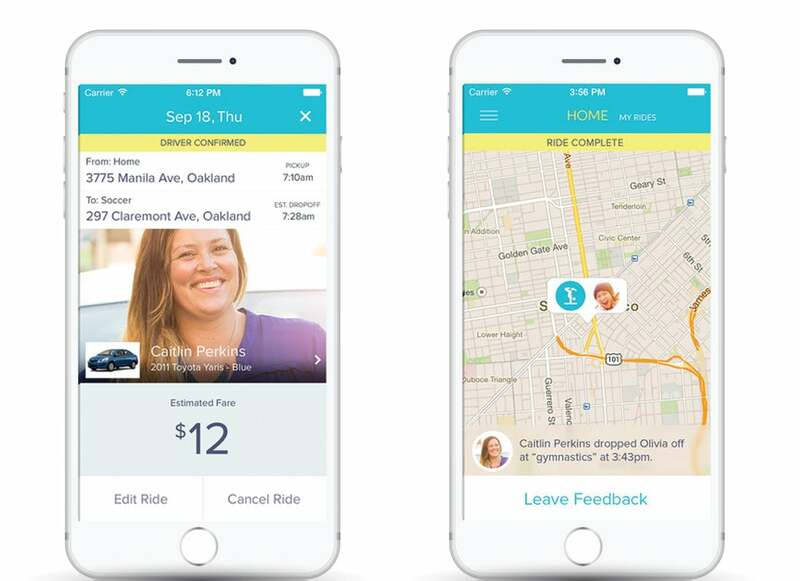 Now parents can outsource their kids’ rides to Shuddle. But is it a good idea? Shuddle, launched last fall just in time for back to school, is a San Francisco-based transportation service targeted to time-strapped moms and dads who need a hand carting their kids all over town – a.k.a. pretty much all parents. The startup pledges to safely, securely “shuddle” post-booster seat age children from Point A to B, whatever the commute may be -- “from home to homeroom,” “from school to soccer,” “from tutoring to tennis,” or to wherever else we tell today’s hyper-scheduled youngsters they need to be. Available only in the San Francisco Bay area for now, the service is especially tempting for parents of multiple minis, frenzied people (like me) who need to be in two or three places at once twice a day, yet have no clone. In other words, it conveniently frees you of a bunch of schlepping you signed up for when you decided to procreate. All you have to do is download Shuddle’s app, schedule a ride by noon the day before your kid needs a ride (up to two weeks in advance), meet the driver at your door and send your kiddo off and away. And, check, that’s one less task on your list. Or you can have a Shuddle driver pick your kid up from a variety of locations where you aren’t, like a school, a camp, a friend’s house or a sports field. As in you may never actually meet the person responsible for driving your child. No worries, though. The driver might be a teacher, a nurse, a nanny, a babysitter, a counselor or a parent, likely from your general neighborhood vicinity, Shuddle says. To ease safety concerns -- and you probably have plenty -- Shuddle says it, like Uber and Lyft, vets its drivers (who bank up to $40 per hour behind the wheel) by running “extensive” third-party criminal background and DMV records checks on them. Two employer reference checks are also performed, along with a face-to-face interview. Once drivers are approved, Shuddle continuously monitors their drivers’ license and insurance records. My 14-year-old son, who said he’d be too scared to Shuddle anywhere because, “Duh, Mom, stranger danger,” asked me if the company tests its drivers for drugs and alcohol. Good question, kiddo. It’s unclear. Nothing of the sort is mentioned on Shuddle’s website. He also asked if it’s mandatory for Shuddle drivers to know CPR and first aid. A short bio about a driver going by the name of Catherine on the startup’s website touts her certification in both, though it’s unclear if either is required. Shuddle did not immediately respond to our questions. So far, all of Shuddle’s “hundreds of drivers are women,” founder Nick Allen told USA Today. The idea for the business came to the 36-year-old, who isn't a parent himself, while he worked for Sidecar, which doesn’t give lifts to minors. (Uber says you have to be 18 to ride, but my friend’s 14-year-old son ubers alone 24 miles from home to school five days a week.) With the aim of further allaying parental concerns, Shuddle says its drivers have childcare experience and undergo orientation training to cover safety protocol and how to “be friendly and conversational [with passengers] while still maintaining appropriate boundaries." Young riders must have a mobile phone that they can send and receive texts on, so they can be in touch with drivers. Each driver is given a secret word chosen by the child’s parent that she will communicate to your child to confirm their identity and the pickup details. Once the ride is scheduled, parents receive the driver’s full name and a photo of the person, plus a short bio and a description of her vehicle. Shuddle cars, the drivers’ own cars, can’t be any older than 10 years, must have four doors and pass a “strict” 19-point inspection. To see where your precious cargo is en route -- and you’ll definitely want to -- you can track his whereabouts using the Shuddle app’s GPS tracking feature. Parents can’t call the drivers directly, but they can contact a Shuddle customer support person through the app during their child’s ride. The cost for all of this convenience and warm and trusty “caretaker” carpooling is $9 per month, plus per-ride fares, which USA Today reports are on average 15 percent more expensive than Uber or Lyft. Call me a paranoid parent, but I can’t help but go to the worst-case scenario here. No matter how much “secured custom insurance” Shuddle stocks up on, and no matter how thoroughly it vets its drivers, no amount of insurance money can ever replace my child or my child’s peace of mind should anything shady or untoward should go down en route. I’m sorry, but I can’t and won’t get behind trusting my babies to a stranger, even if she's a “vetted, kid-friendly” lady driver, especially sight unseen. Shuddle’s value proposition boils down to one thing: “more quality time.” Quality time for who? Parents craving more alone time? Quality time for a child in the backseat of a stranger’s car? For me, as odd as it might sound, driving my kids all over the place is quality time. Some of the most meaningful conversations that I share with my kids happen when I zip them to and from school or to practice. We download about everything from which academic projects they need guidance on, to how to stand up to the lunch table bully, to how to avoid that neighbor classmate who keeps trying to sell them weed. We also sing together to cheesy pop drivel on Sirius or shout the parts of the Guardians of the Galaxy soundtrack that we know by heart, rolling along to our own laugh track. What’s next? Parenting -- there’s an app for that. I hope not.